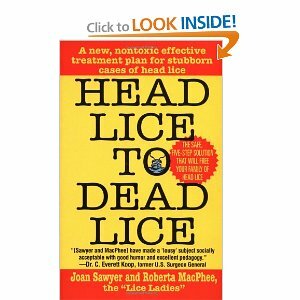 Here's a light way to talk to children about that old nuisance head lice. 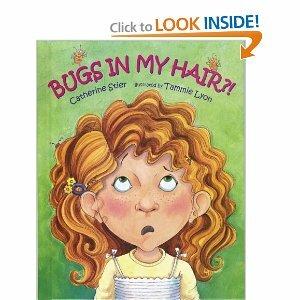 Rhyming verses describe how one little girl gets head lice and how she and her parents get rid of them. Kids will enjoy the rollicking cartoon "cooties" playing hide-and-seek and having a party in the girl's hair until they are sent packing. 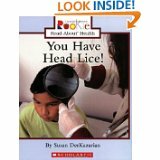 Notes on each page provide detailed, factual information about head lice. The popular Rookie Books expand their horizons - to all corners of the globe! With this series all about geography, emergent readers will take off on adventures to cities, nations, waterways, and habitats around the world…and right in their own backyards. "WHAT DO YOU MEAN I HAVE BUGS IN MY HAIR?!" 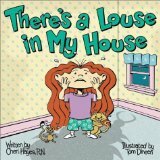 blurts Ellie when her mother and ther school nurse give her the bad news: Ellie has head lice. "These things happen," says Ellie's mother. At home, Ellie and her mother talk to the doctor and read the papers from the school nurse. Then they shampoo, comb, and do laundry. Ellie even writes a note for kids who get head lice-"These things happen," it says. This updated edition asks some great questions. What is a nit? How long does a head louse live? Why do head lice need to live in people's hair? 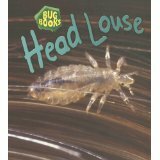 This book is an introduction to head lice, discussing how they are born, what they look like, what they eat, how they grow, where they live, and how to get rid of them. Mom's in a fret when lice are found in her daughter's hair. Clever and funny, this rhyming story will help children with head lice understand what they have and help parents deal with this condition. Includes parent information page.